Even if you are used to cutting back on your everyday spending, a special occasion still deserves a bit of a party. When money is tight you need to be more creative about how you spend it and look for ways to have fun on a budget. 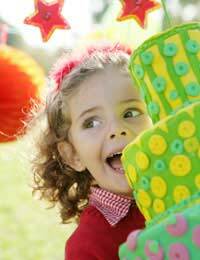 Whether it is a child's party, one for the family, or an adult celebration, with a little planning and thought it doesn't need to cost you very much. Ask your friends and family to pitch in, look for special offers and don't leave your party planning until the last minute. One of the biggest costs at any party is the food and drink. Catering for a large group of people soon becomes very expensive and can be a strain on your finances. Instead, ask your friends and family to bring along one item each. This way it won't be expensive for anyone and everyone can feel involved in the planning and preparation. Decide who will bring what so you have a good mix and you will be surprised how easy it is to put on a feast. There a many great party locations that are cheap and cheerful but still a lot of fun for everyone. If you have a good local park then get out there on a sunny day, take a picnic and enjoy the fresh air. Perhaps a friend has a trampoline or pool that the kids could play in or your local pub or restaurant will rent out a room for free to big parties. Start being creative and looking for cheap party opportunities and you are sure to find some. Whether it is money off in the supermarket, deals at restaurants or discount tickets to attractions, there are all sorts of offers out there. Making use of these will help you do something special for your party without it costing too much. Ask friends and family to look out for offers and check money saving forums on the Internet for all sorts of coupons. Also, check out the local paper or subscribe to newsletters that give you money off. The best way to save money is to plan ahead so that you have time to look for deals and work out how to spend wisely. Whether it is Christmas or somebody's birthday, you know it is coming up so start thinking about cheap party ideas in advance. This way you can gather coupons, get family involved or buy party items as you go along. A party doesn't need to cost a lot of money for it to be fun. There are plenty of cheap party ideas, they just take a little more thought and planning. Get people to bring along food and drink as this can often be the biggest expense. Look for fun, cheap location and gather offers to get money off. Plus, make sure that you start planning your party with plenty of time to spare.